At the center: a young woman who calls herself Bride, whose stunning blue-black skin is only one element of her beauty, her boldness and confidence, her success in life, but which caused her light-skinned mother to deny her even the simplest forms of love. There is Booker, the man Bride loves and loses to anger. Rain, the mysterious white child with whom she crosses paths. And finally Bride's mother herself, Sweetness, who takes a lifetime to come to understand that "what you do to children matters. And they might never forget." Would you listen to God Help the Child again? Why? Yes, I would listen again, but not for a long time. There is a lot happening here that I need to think on before I can revisit the book. 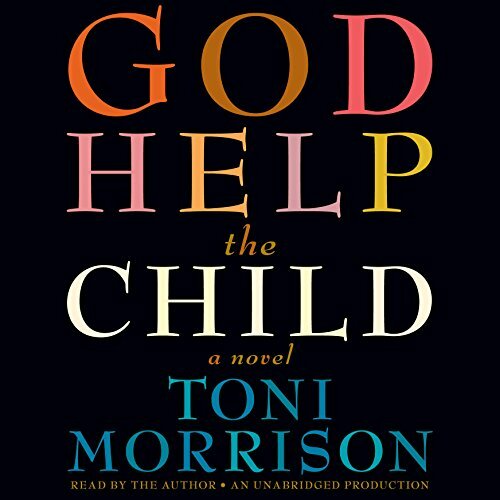 What other book might you compare God Help the Child to and why? I compare the Grand Madame Toni Morrison to no one. But if you like her other works, or James Baldwin, then this might be a good choice for you. Have you listened to any of Toni Morrison’s other performances before? How does this one compare? 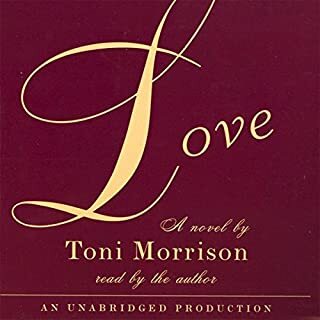 I have listened to several other Toni Morrison books. I enjoyed every performance, but I think this was her best. This books was a journey through perpetual sadness and how adults are coping with these great deficiencies of childhood. There are moments of kindness and genuine tender emotion and that helps soften the sadness. This book isn't for the faint of heart. Listen with love. This is a work of fiction, but it is grounded in reality. It is a great story and one that will stay with you. It's worth the time. Not her finest . 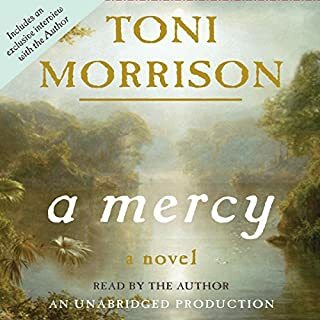 . .
Would you try another book from Toni Morrison and/or Toni Morrison? I am a HUGE Toni Morrison fan but I thought this book was not her finest. It had some good points, but the ending was weird and implausible. The least interesting was the central character, Bride. I found the other characters--Booker, Queenie, etc. much more interesting. What didn’t you like about Toni Morrison’s performance? She was a little raspy and difficult to hear at times. Was God Help the Child worth the listening time? 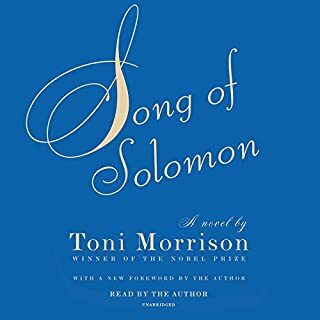 If this is your first Toni Morrison book, start with Beloved, Song of Solomon, A Mercy, or The Bluest Eye. They all brilliant books, in my opinion. I also like Paradise and Jazz. But this book, as I said above, is not her finest. I thoroughly enjoyed the story and found myself wishing it would not end. Toni takes us on wild ride, traveling to improbable places and introducing us to a cast of flawed, self-involved characters. The ultimate reward is the confirmation of just how difficult and complicated a mother's role can be and how many ways we can screw it up! I purchased the hardcover of this book - I purchase the hardcover of all her books, when possible. 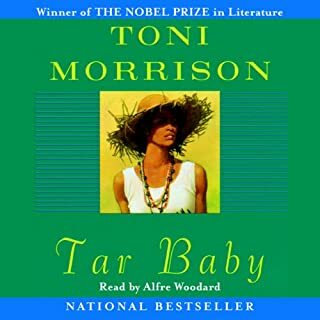 But, when I learned Toni Morrison recorded the narration for the audiobook I decided to listen instead of read. 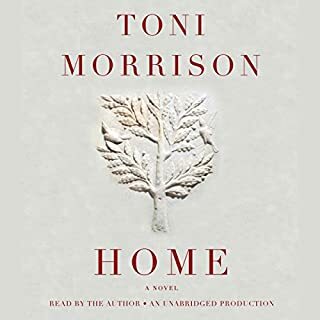 If you read Toni Morrison, you understand she is intimately tied to each of her characters, an invisible and unimaginable adhesive binds them, so hearing them brought to life under the guidance of Toni's voice is a rare gift. This story is not flowery language, it is history and legacy and good words that strike through the marrow to pin to the wall that skeleton all our flesh has hardened over. This book is lesson and warning. What becomes of a child refused basic human kindness? Book was wonderfully connected to real life. The author forced the reader to examine though indirectly, our own neglect of the needy. The stories were insightful and inspiring that we will better understand the plight of those we come in contact with. Wonderful read. Loved it! This book has so many messages. It really depicts the lasting affects our actions have on children. One of my favorite authors, I hadn't read a review - just knew it was her latest book after many years. Fascinated by the characters & their stories, finished in 2 big chunks of listening. Morrison's language is exquisite. Loved it & is my return to literature after other genre. Wonderful heartbreaking, all to true! 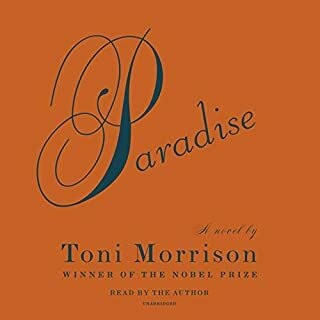 Only Toni Morrison, a true gift to our planet, could use her genius to weave such a tail of pain real life and turn it into a tapestry. And in her own voice, you know what she means. Ms. Morrison, carefully allows the children to stay "in the room" and unveils those dirty little secrets in the black community that we may heal. I too was one of those children! God bless you Ms. Morrison, and thank you on behalf of those who could not utter a word. A brief magical story of love and the lies we tell ourselves about it. No doubt Bride's black is beautiful. And listening to Ms. Morrison read her own work is adds an additional layer of magic.